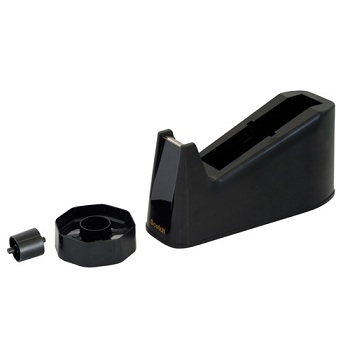 We supply a wide range of office tape dispensers for ease of use. 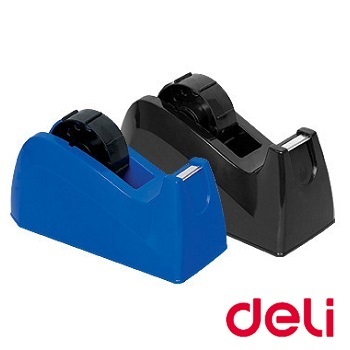 Fantastic value... Economy small desktop tape dispenser. Quality plastic dispenser with weighted, non-skid base. 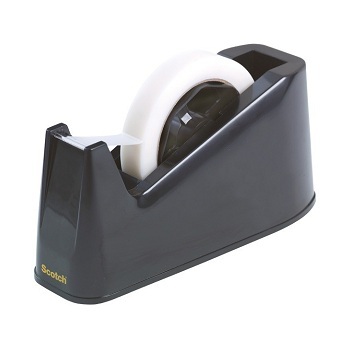 Fantastic value... Economy large desktop tape dispenser. High quality, durable, wear-resistant plastic dispenser with weighted, non-skid base. The streamline design offers convenience and quick ease of use. 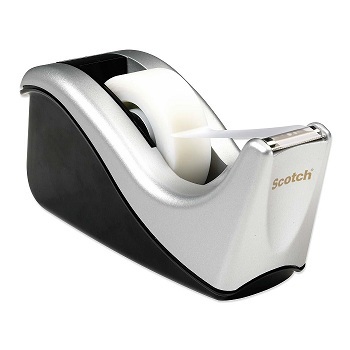 The Scotch C60 Tape Dispenser has a modern, elegant design. Manufactured from high impact plastic and is weighted to facilitate single handed dispensing. Non-skid base and attached core for easy refilling. Ideal to be used in the office. Comes with a 19 mm x 11.4m roll of Magic™ Tape. 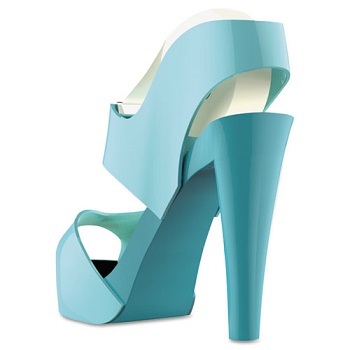 A sleek, contemporary, European-designed tape dispenser. 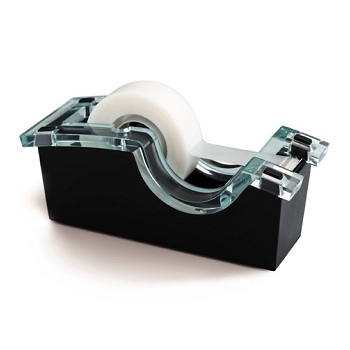 Acrylic weighted dispenser fits any decor and keeps tape handy for quick, convenient use. Attractive dispenser keeps your desk neat and organised. 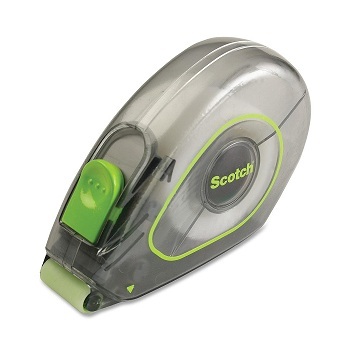 The Scotch® C3 large tape dispenser is weighted to facilitate single handed dispensing. Ideal Dispenser for the home, office or warehouse. Solid plastic dispenser with non-skid base and blade cuts easily. Suitable for dispensing of 75 mm and 25 mm core tapes, in 66m and 33m lengths. 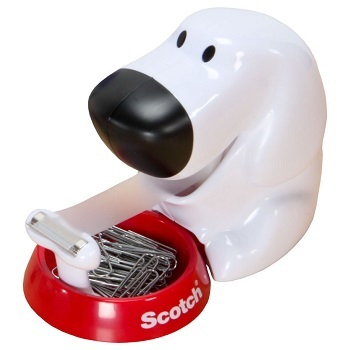 Personalise your space today and adopt a dog dispenser! 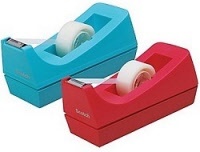 Refillable fun Magic™ Tape dispenser that keeps your favourite tape at your fingertips. 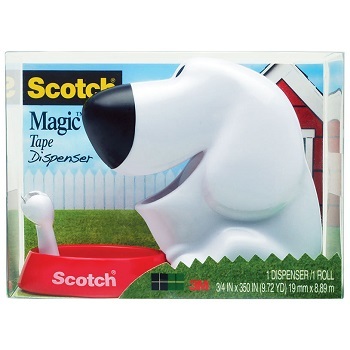 Novelty dog dispenser with one roll of 19 mm x 8.89m Magic™ Tape. Step up your style and personalise your space! 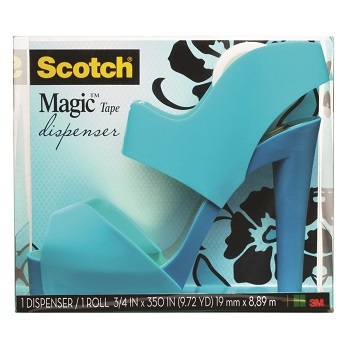 Stylish refillable Magic™ Tape dispenser that keeps your favourite tape at your fingertips. Comes in Cool Aqua Blue with one roll of 19 mm x 8.89m Magic™ Tape. 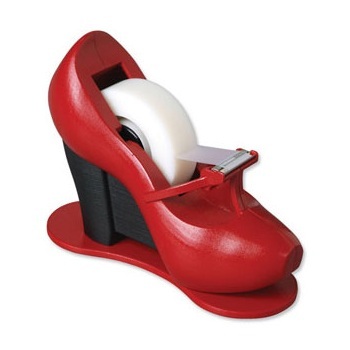 The new addition to the Scotch® Shoe Tape Dispenser range, the sleek and stylish Scotch® Stiletto. Dress your desk in style with this new must have accessory. Comes in Pretty Pink with one roll of 19 mm x 8.8m Magic™ Tape. Comes in Patent Black with one roll of 19 mm x 8.8m Magic™ Tape. 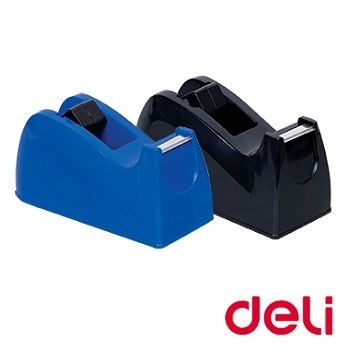 Weighted base allows for easy one hand dispensing of packaging and general purpose tape. Features a compartment that holds pens, pencils and scissors. Perfect for mail room, shipping department and sample room. Made from 30% Post Consumer Recycled Material. 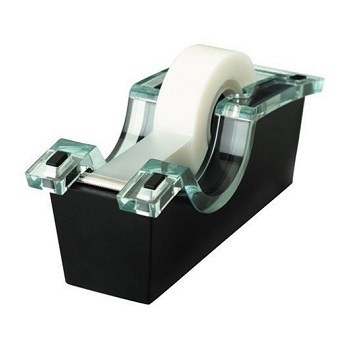 Bring style to your desk with this glamorous tape dispenser. 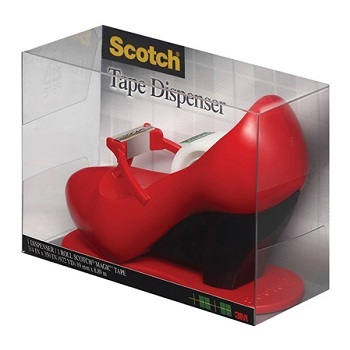 Resembling a high-heeled Mary Jane shoe, the Scotch® Shoe Tape Dispenser adds a personal touch to your home or office. Comes in Bright Red with one roll of 19 mm x 33m Magic™ Tape.